Google today announced new editing options for its Slides presentation service. You’ll now be able to adjust opacity, brightness, and contrast for an image, as well as change its color to match your theme. You can access the new editing features through the toolbar, format menu, and right-click menu. 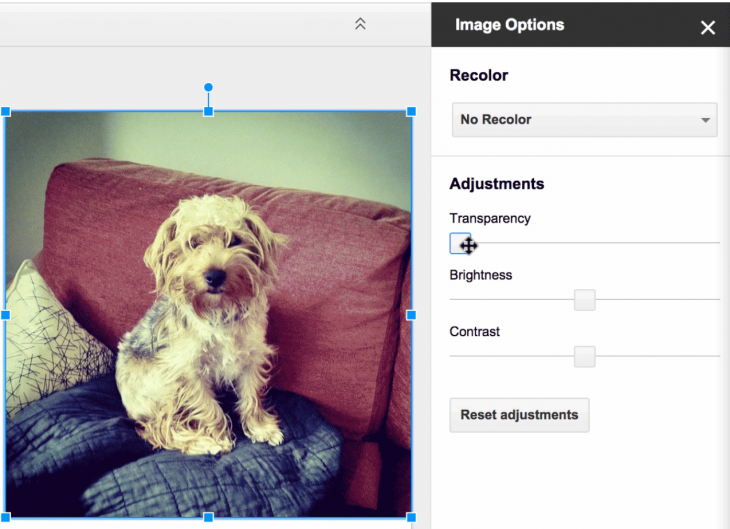 Google first added basic image editing to the service back in March.